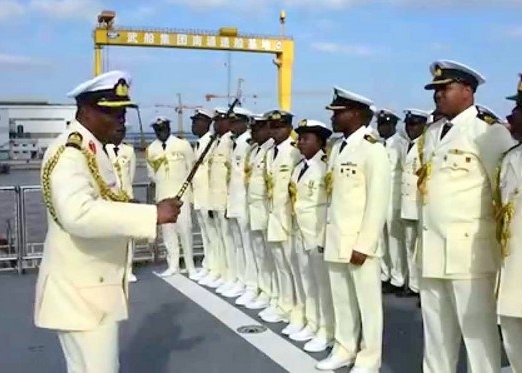 The appointment of new Principal Staff Officers and Flag Officers Commanding have been officially announced by the Nigerian Navy in a new statement on Wednesday. The Nigerian Navy has announced the appointment of new Principal Staff Officers and Flag Officers Commanding, according to PUNCH. 3. Rear Admiral O. Ngalabak for Western Naval Command, Lagos. 2. Rear Admiral S. Garba will take over at the Central Naval Command, Yenagoa , Bayelsa State. Furthermore, Rear Admiral A. Yusuf was appointed as the Director of Medical Services, and Rear Admiral S. Abbah is taking over as the Chief of Defence Administration at the Defence Headquarters. The statement said, “Rear Admiral I. Mohammed is taking over as Chief of Naval Safety and Standards, Naval Headquarters, Rear Admiral P. Onaji as Chief of Defence Civil Military Cooperation, Defence Headquarters.